Made from premium, 7 ounce, genuine cowhide leather. 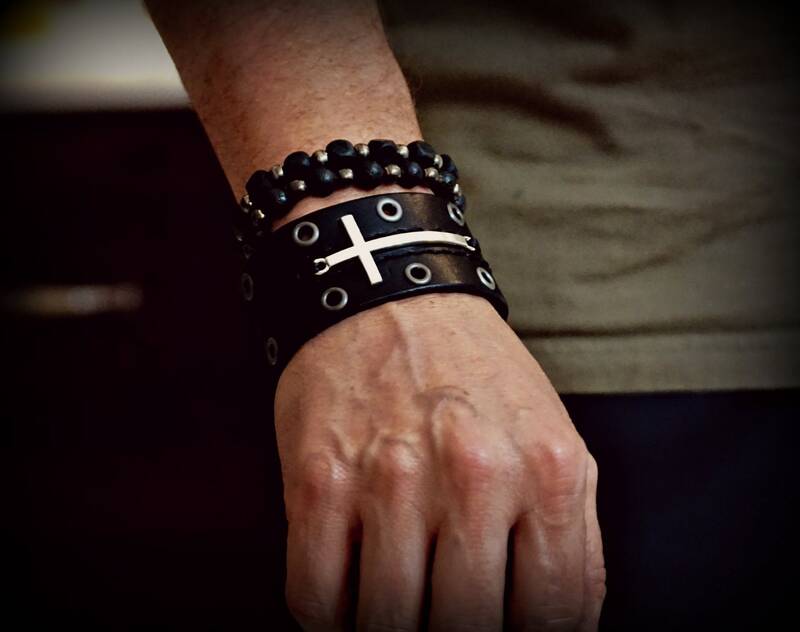 Fitted with sideways, silver plated cross surrounded by hand stitched accent and gunmetal eyelets. Hand dyed, and finished in house. Beaded bracelets sold seperate.